2016 International 210 North American Championship. Newport, Rhode Island. The International 210 class held their North American Championship in Newport, Rhode Island this year, a first for the class. 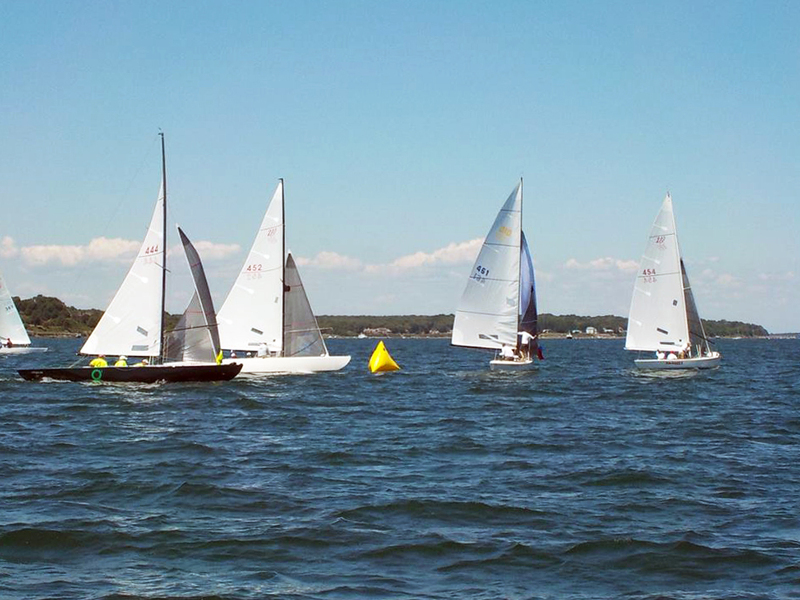 With 14 boats in attendance, the competitors were universally excited to be racing in the waters of Narragansett Bay. In the end, Stanley Kostka and Mark DeShong – each using a mixed inventory with Quantum® headsails – finished first and second at the event. Quantum Sails had a strong presence at the regatta, including multiple banners, on-water coaching for the practice race, and on-water support and photography for the first day of racing. The most noticeable impact was Quantum’s black headsail, flaying on eight of the top eleven boats. “You knew that Quantum was always on the top boats because of the black sails,” said Randy Shore, Quantum’s 210 class rep. Sailing for the first time in Newport were Tom VanderMolen and Mike Blackwood from Wisconsin. Both of their names carry some weight in the Midwest. They joined forces for the first time on Firewood II, and finished fourth overall with a full set of Quantum sails. With two seventh-place finishes on the first day, Shore checked in with the team to see how things were going. "Tom said coming to Newport for a championship was on his bucket list," said Shore. "They said their sails were beautiful, and they were just happy to be there." Shore shared some of his local knowledge with the team, who improved consistently throughout the weekend, even winning the last two heats of the regatta. For top finisher Stanley Kostka on Rock Bottom, the North American Championship had become his ultimate challenge. "On the first day, he said this was the one major 210 event that always escaped him," said Shore, but Kostka pulled it off. From Shore's point-of-view, Kostka was clearly the best boat at the regatta, and his win proved it. Shore explained, "Kostka had a game plan for every race, and he stuck to the plan. He wasn't distracted by other sailors or other boats. He focused on the plan and executed it well." Overall, it was a great weekend for Quantum-powered boats. Congratulations to everyone on a great race! *Sailing with a partial Quantum inventory.